The palace was built in 1893-95, and it is located in front of the railway station. The building takes its name from Vivanet brothers who commissioned the construction works. 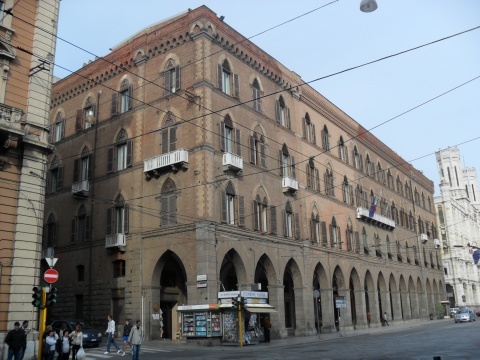 The neo-Gothic three-storey building is characterized by a series of pointed arches present throughout the Via Roma. The corners and the ferrules of the pointed arches have a particular cladding in visible brick work.